At DWS, learning embraces the academic, the artistic and the practical. Waldorf education offers a rich and rigorous academic and artistic curriculum for all grades, including science, mathematics, language arts, literature, history, geography, fine and practical arts, world languages, music, and physical education. Waldorf education is designed to cultivate children's inherent curiosity and love of learning. We believe learning happens when children are fully engaged in making discoveries about themselves and their world. Our approach “brings forth” the gifts that all children possess, helping each child reach their full human potential. Our community of educators and parents believe that every child has unique gifts and talents to share with the world. Our aim is to graduate students who are capable of independent, critical and creative thinking and who will enter adult life with the confidence and knowledge needed to face the challenges and opportunities of the 21st century. 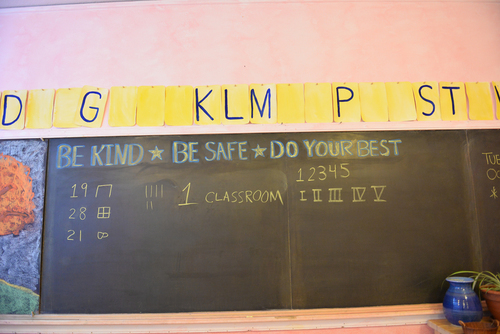 The Detroit Waldorf School is a diverse and thriving school, which believes that a strong and engaged community produces a strong learning experience. We are committed to being part of a wider community, including our talented faculty and staff, our educated and involved parents, our wide circle of supporters and friends, and the city of Detroit. Our school is fully accredited by ISACS (Independent Schools of the Central States), AWSNA (Association of Waldorf Schools of North America) and WECAN (Waldorf Early Childhood Association of North America).